Innovate by having a twin upholstered surface like a sandwich. 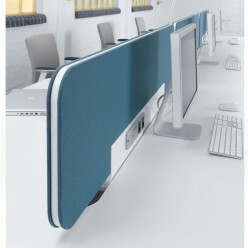 Single or double sided power rail can be added. 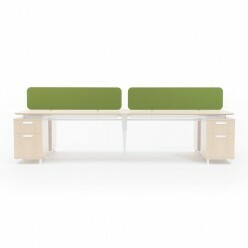 The D9 Twin Desk screens innovate by having a twin upholstered surface like a sandwich. An optional single or double sided power rail can be added for convenience.